“No, we don’t need a shed right now,” you told your friends, your family, your spouse. And then you went home to the truth. Have you been there? Day 1: It’s really not that bad. So there are a few boxes taking up a corner of the guest room. Hardly any guests stay anyway. And the garage still has some room left. See? Made the right decision to wait. Day 10: Exciting news!! Your wife announces she’s pregnant! The excitement quickly turns into a month-long purge fest as you clean out the guest room to make into a nursery. You hear, “No, those can’t stay in here, this is the baby’s room.” So your bedroom, your sanctuary, is becoming an altar of boxes. Month 3: It’s summer again and you open the garage to get the lawn mower out. But, you’re not sure exactly where it is in the jungle of storage. How did it get so out of hand so quickly?! By the time you find it, pull it out, pump the tires and fill up the tank, a few choice words have been said to the filthy garage. It’s practically lunch time as sweat drips down your face. One day there will be a garage with just tools, lawn mower and a workbench. One day. Month 7: Baby gifts have started piling into the living room and there’s only more to come! Then it dawns on you - your mother-in-law will be staying for the first few weeks after the baby is born. But, wait, where will she sleep? Another storage shift begins. Month 8: Pulling up the driveway, your brow furrows. Your lawnmower is sitting under a tarp in the side yard. You walk into the house and stub your toe on a new box sitting in the foyer. But, the nursery does look amazing if you do say so yourself. Excitement begins to build. But, as you step into your own room, a sigh escapes. 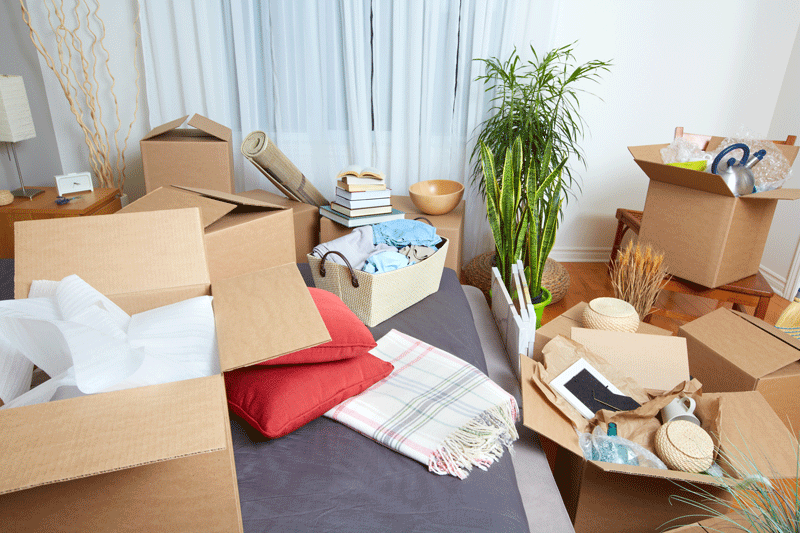 Even your bedroom is filled to the brim with boxes. Things will get better after the baby...right? 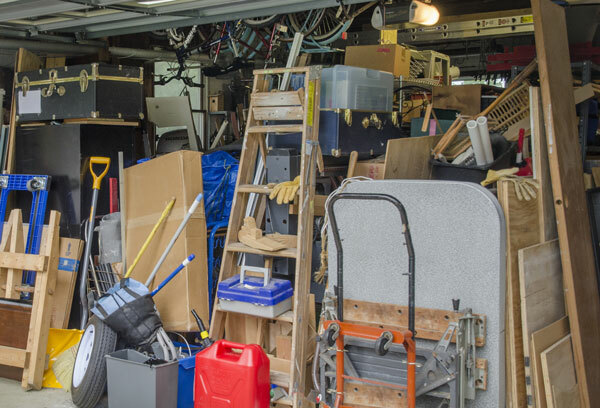 Here’s the thing, you’re not a hoarder. You don’t have too much stuff. Don’t believe us? Read this! Honestly, life keeps moving forward and new exciting chapters begin. But, the question becomes, are you prepared for the space you’ll need in the future? For many retirees, new parents and newlyweds, the answer is no. They fall into adding an extra layer of frustration, annoyance and additional stress to their already busy days. No one wants that! 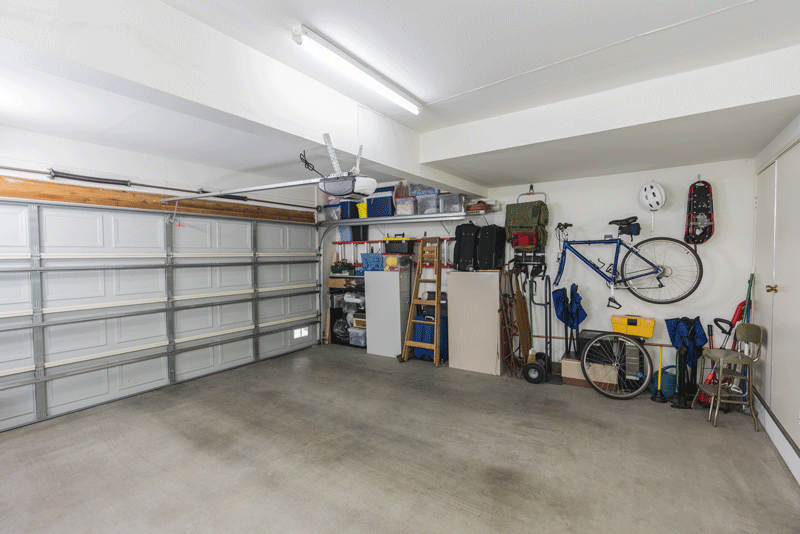 With the right rent to own program a shed doesn’t replace one stressor for another - get the space you need while still sticking with your budget. 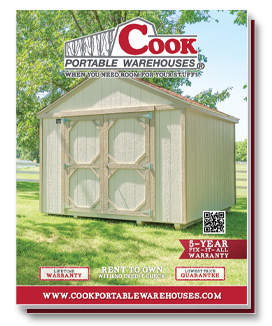 Prepare for your next exciting chapter and the memories you’ll want to store for decades to come with a Cook shed, simple, reliable and affordable. See how our sheds are made and find the one to fit your needs and your budget.